As part of his plea agreement, Bolutife Olorunda will have to pay Delta $9,118. Before causing a disruption on a flight, remember that there could be a hefty price to pay. 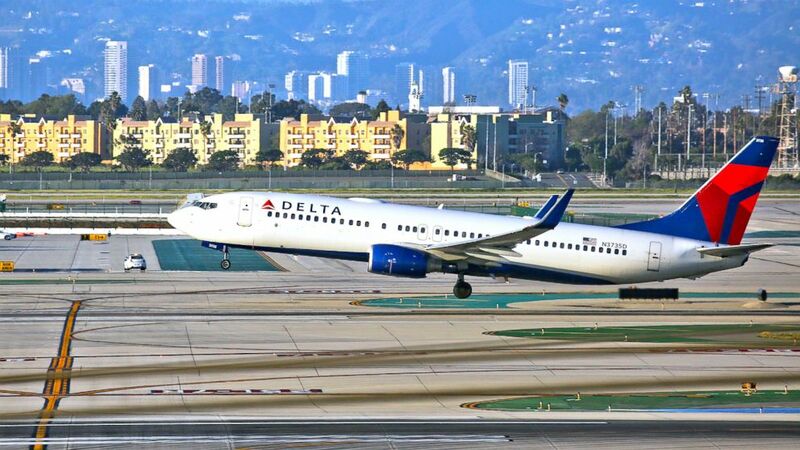 Delta Air Lines passenger Bolutife Olorunda was screaming and acting erratically recently on a flight, at which point he was approached by a flight attendant, according to court documents. Olorunda verbally threatened the flight attendant by saying: "Don't touch me and if you touch me again you will regret it." (FG/Bauer-Griffin/GC Images/Getty Images, FILE) A Delta Airlines Boeing 737 takes off from LAX in Los Angeles, Feb. 6, 2017. Among the 178 people onboard the Boeing 737 aircraft on May 30 were two federal air marshals, according to the complaint. One air marshal protected the cockpit while the other sat next to Olorunda to keep him calm. The captain declared an emergency and diverted the flight to Tulsa, Oklahoma, where Olorunda was arrested. Diversions are often costly to airlines. The additional fuel, rebooking of passengers, fees at the airport and swapping of crews can cause that price to reach in the thousands. Delta Air Lines did not immediately respond to a request for comment. As part of the guilty plea reached with the U.S. attorney's office in Oklahoma, Olorunda has been ordered to pay Delta Air Lines $9,118 for the cost of the emergency landing, according to court documents. An attorney listed for Olorunda did not respond to a message left at his office by ABC News. The Washington state man is also facing up to six months in prison, a fine up to $5,000 and additional penalties from the Federal Aviation Administration (FAA) and the Transportation Security Administration (TSA). TSA declined to comment and the FAA did not immediately respond to ABC News' inquiry.